The Costa del Sol forms the coastal region of the Malaga province of Spain. The Costa del Sol is one of the most popular and developed tourist regions in Europe. Many former small fishing villages such as Torremolinos and Fuengirola are now busy tourist towns attracting hundreds of thousands of visitors every year. The Costa del Sol is the coastal region of the Malaga province of Spain stretching from the resort of Nerja in the East towards Gibraltar to the West. The Costa del Sol region is Spain's most popular holiday destination. A few kilometres inland, the flat coastal strip gives way to whitewashed hillside villages set against the mountains. Below is an A-Z guide to some of the most popular tourist towns and resorts of the Costa del Sol. Sandwiched between the hugely developed "Brit" resorts of Fuengirola and Torremolinos, Benalmadena is somewhat less developed and more "up-market", having some exclusive developments to the western side of the town. The eastern side of Benalmadena merges into Torremolinos. Benalmadena is divided into 2 areas - Benamadena Costa is the main tourist coastal strip of the town, and the quaint white-washed Benalmadena Pueblo (old town) is set in the hills overlooking the town. Benalmadena Costa has a huge sandy beach which is lined by tourist bars and restaurants, hotels, apartments, shops, nightclubs and casinos. The prices in Benalmadena are a slightly higher than Torremolinos, but significantly cheaper than Marbella. Benalmadena is also the home to the Tivoli World Theme Park which has pools, games, rides, restaurants, and flamenco dancing, and will certainly entertain the children for a day. If you are eating out in Benalmadena	Matahambre Taverna on Arroyo de la Miel has a good selection of sharing dishes and tapas. Around a 15 minute drive into the hills above Benalmadena is the Pueblo or old town area. The road up to the pueblo offers some fantastic views of Torremolinos and Benalmadina Costa. There is a large viewing area where you can park close to the Butterfly Park. The pueblo has plenty of bars and restaurants and on a hot summers day offers some respite from the heat of the coast due to its elevated location. Parking in the pueblo is difficult at the best of times so it is recommended to take the bus from Benalmadena Costa. Recommendation: Mariposario Butterfly Park on the road to the Pueblo has a range of butterflies including many native species. The attractive market town of Coin is located around 30 km inland from Marbella close to the Sierra de Mijas mountain range. The town has a rich historical ambience with Roman and Moorish influences still in evidence. The town is certainly worth allocating a day trip for offering a real feel of authentic inland Spain. Market day in Coin is on the 3rd Saturday of the month. Coin has bus routes from Malaga, Marbella and Fuengirola. Notably, Coin was the location for the ill-fated BBC series "El Dorado" which was filmed in the 1980's. If you have access to a car, the inland town of Competa set in the hills of Axarquia above Torrox is one of the most beautifully preserved in the Costa del Sol. The drive up to Competa is not for the faint-hearted as there are 16km of narrow, bendy roads to negotiate before you reach the town. If you do decide to drive to Competa, the Algorrobo/Sayalonga road is slightly easier than the Torrox road. Alternatively, there is a bus service to Competa from Torre del Mar via Algarrobo. The best day to visit Competa is Saturday when there is a large open-air market selling local produce including clothes, fruit and vegetables and ceramics at low prices. The centre of Competa is the main square which is at the summit of the town. See a wonderful plaza surrounded by small bars and cafes in this part of town and the local church which you can go into to look around. There is a big ex-pat community in Competa so speaking English shouldn't be a problem unlike in many of the other inland towns and villages of Andalusia. The weather on the Costa del Sol coast can be warmer than in the hill towns such as Competa especially in the winter months, so if you travel to Competa or to any other inland region you may need to take extra clothing. Recommendation: Visit Competa market on a Saturday morning, then have lunch at the El Pilon Restaurant which is etched into the Competa hillside above the market. This used to be a carpenter's workshop before converting to a restaurant 45 years ago. To the West of Marbella the Costa del Sol coastline becomes slightly less developed, although one exception is the large resort of Estepona which is located around an hour to the west of Malaga Airport. Estepona has a long stretch of developed coastline, but in the centre, across the main road from the sea, the Pueblo (old town) which runs alongside the beach has a wonderful authentic feel, and the old-style architecture has been perfectly maintained. The Pueblo streets are lined with trees and flowers which adds colour and makes it one of the most attractive old towns in the region. 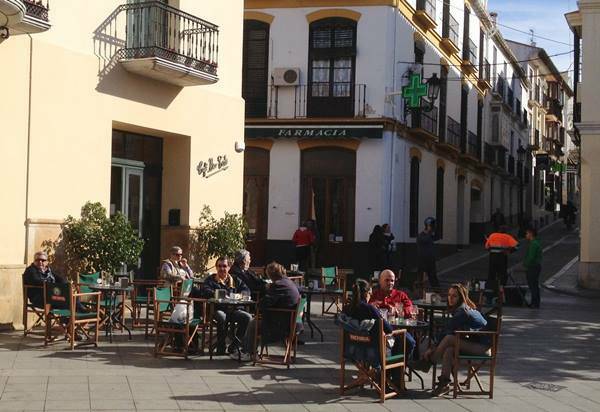 The beautifully maintained Plaza de las Flores at the centre of the Pueblo is the perfect place to relax with a cold drink after wandering around the cobbled old town streets. The Selwo Wildlife and Adventure Park situated in the hills behind Estepona has a range of exotic animals, which are free to move around in large areas (unlike some Mediterranean zoos). With an emphasis on conservation and education, the park is an excellent day out for families and children. Entry is a little pricey at around €25 for adults but you can get cheaper prices by booking in advance on the Selwo website. Tickets booked in advance online have a date range rather than being for one specific day and include a discount. Recommendation: Restaurante Gallipoli on the beach front in the centre of town has an excellent range of Italian food and wonderful home-made bread. The resort of Fuengirola is one of the Costa del Sol's largest and most developed resorts (some would say it is a little over-developed). Fuengirola is popular with younger visitors in the summer due to the vibrant nightlife and older visitors in the quieter months. There are many English bars and restaurants located in the narrow backstreets behind the main strip. Sohail Castle is an ancient 10th Century Arabic castle built by the Moors which is set in the foothills of the mountains behind Fuengirola. Much restoration work has been carried out on the castle over the last 20 years, and it is now surrounded by well-maintained gardens. The castle is visible from the A7 motorway and has parking for visitors. The Aqua Park and the BioParc are two activities that you should allow a full day for in Fuengirola. Children will love a day at the beach as Fuengirola boasts three inflatable water parks with 800 metres of aquatic fun, open in summer months from 11am - 8pm. Fuengirola is one of the liveliest nightlife destinations on the Costa del Sol. Aside from the large number of English bars, the town has a plethora of themed bars, cocktail lounges and nightclubs, which are generally very busy in the warmer months. Recommendation: Feria del Rosario is a festival held Fuengirola in October featuring traditional Andalucian horses, flamenco dancing fairs and a general party atmosphere. Malaga is a typical Spanish city, unspoilt by tourism and rich in culture and heritage. 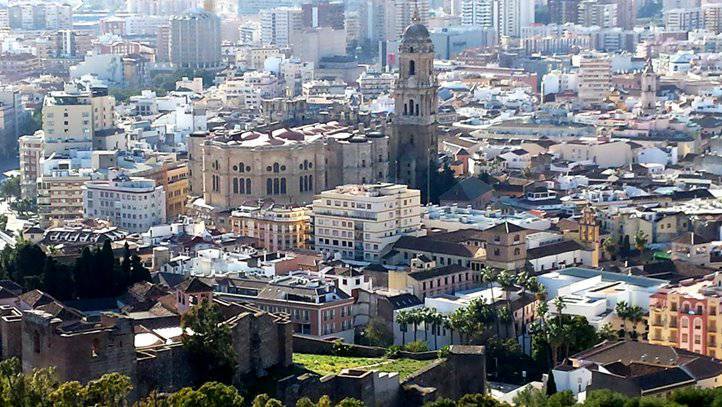 Malaga is the birthplace of Picasso and is one of the best locations on the Costa del Sol for a cultural and historical visit but has the added benefit of being a coastal resort with good beaches. Try Bar La Recova in the old town - a cosy place for coffee or a beer (located next to the San Juan Church). A few of the sights that visitors should make sure to see while in town include the Picasso Museum, the Glass Museum, Cathedral de Malaga in the historic town centre, and Calle Larios and Plaza de la Constitucion where a great deal of shopping is located. Find more ideas of things to do in Malaga. Marbella is located around 30-minutes’ drive to the west of Malaga Airport and is one of the most exclusive resorts on the Costa del Sol and is a favoured resort of the rich and famous due in part to its proximity to Puerto Banus. Vladimir Putin, Sean Connery, Lord Alan Sugar and Rod Stewart are among those who have or have had villas in Marbella. The main tourist area is the Puerto Deportivo where the town’s large sandy Playa de las Venus beach and marina are surrounded by tourist shops, bars and restaurants. This is one of the best places to find tapas in Marbella with several large tapas bars on Avenida del Mar. Prices are not particularly expensive here due to the competition and a tapas-based meal for 2 should cost around €30-40. 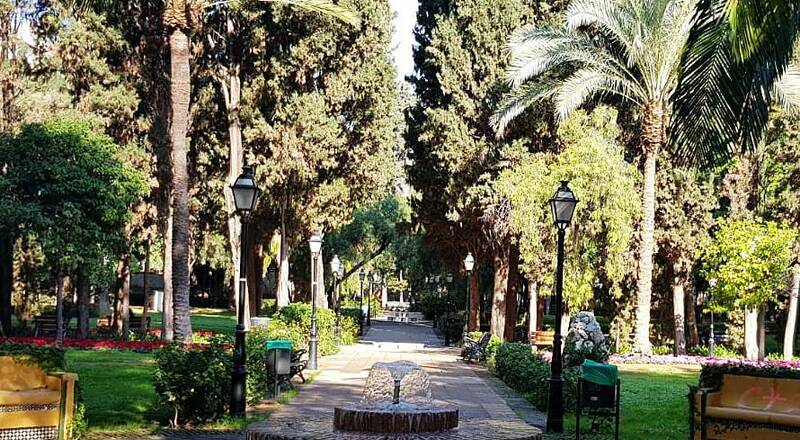 A 2-minute walk to the North of Puerto Deportivo is the impressive El Parque de la Constitucion. The park is free entry and has a wonderful array of Mediterranean plants and trees. There is a large underground public car park just across the road, but parking is very expensive (€ 3-4 per hour). 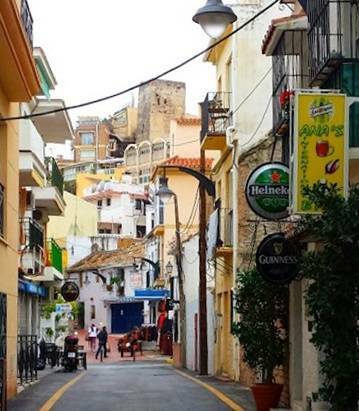 Marbella also has a wonderfully preserved old town quarter with narrow winding cobbled streets leading to the bustling Orange Square at the centre. Orange Square is the town's citrus tree-lined central plaza, surrounded by historical buildings including the town hall. The square has numerous bars, cafes, restaurants, and plenty of designer outlets and tourist shops. Shopping is a "big deal" in Marbella. There are the top end designer stores where you can pick yourself up Gucci bag, or a pair of Jimmy Choos. Contrasting with colourful markets which take place in Marbella in Mondays and Puerto Banus on Saturdays. A relaxing and enjoyable way to see all the best bits of Marbella is from one of the many horses and carriages which are parked in the centre of Marbella at Parque Alameda. Although most people come to Marbella for sun, sea, sand and Sangria, there is another increasingly popular reason for heading south; surgery. 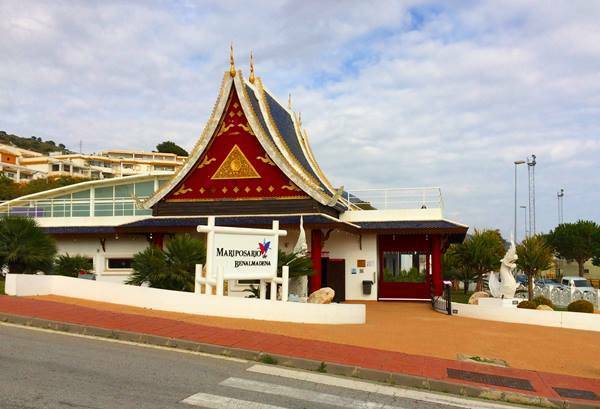 The cosmetic surgery business is booming in Marbella. If you are looking for quieter beaches, to the east of Marbella there is a superb sand dune beach at Artola. If you are looking for somewhere exclusive to stay, Marbella Club Spa and Golf Resort set in picturesque surroundings dates to the late 1940’s. The club has a fantastic selection of villas, apartments and rooms set in wonderful scenery, but prices will leave a hole in your wallet. The neighbouring resort of Puerto Banus is the only resort that can match Marbella for opulence. If you like to stroll around and soak up the luxury whilst deciding which kind of yacht to buy when you win the Lottery, then a day in Puerto Banus is a must. Located just along the coast from Marbella, Puerto Banus is one of the most exclusive yacht ports in Europe and is a popular haunt of the rich and famous. This is reflected in the high prices throughout the port’s clubs and bars. Puerto Banus is the most exclusive resort in the Costa del Sol, with several renowned VIP only clubs where celebrity sightings are guaranteed if you can gain admittance. Puerto Banus has plenty of exclusive bars and nightclubs which are centred around the marina. You can pay as much here for a couple of drinks as you would pay for a night out in some of the neighbouring resorts. Bar and restaurant prices at neighbouring Marbella are significantly cheaper than at Puerto Banus. If you are looking for a budget break in the sun, Puerto Banus will probably not be a good choice, but if you are looking for an "up-market" break with beaches, designer shops and a thriving nightlife, then Puerto Banus ticks all the boxes. Recommendation: The lively La Habana de Hemingway (Club Habana) bar/disco is one of the oldest clubs in the port specialising in loud dance music with in-house dancers. Route 66 is a popular lunchtime or evening venue often with live music - in summer book in advance due to the restaurant’s popularity. For those with an Italian penchant, Pizzeria Picasso in Puerto Banus offer good value Italian dishes. Hard Rock Cafe is a classic venue for a Marbella visit. They also have a children's menu and colouring books. Older children will enjoy the rock theme and memorabilia along the walls. 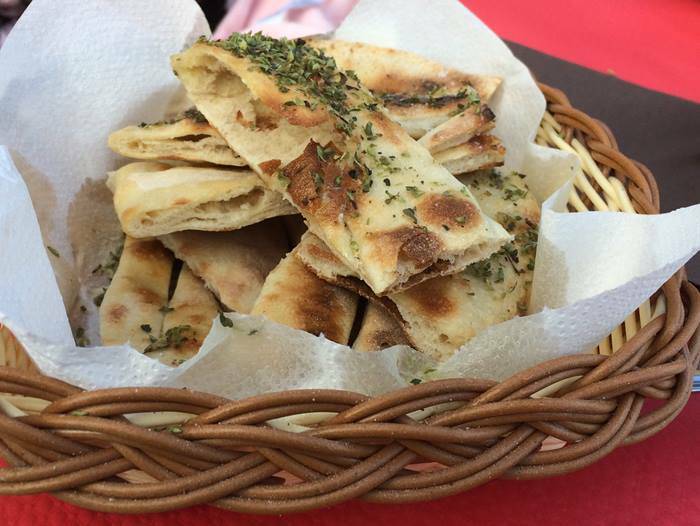 Yamas Greek Restaurant in Marbella is a good option which won't break the bank. Greek food is also good in hot weather. They offer a children’s menu. The picturesque whitewashed town of Mijas is located around 30km to the west of Malaga and a few kilometres inland from Fuengirola. Set back in the hills overlooking the Mediterranean coastline Mijas is one of the most scenic locations on the Costa del Sol. Split into two areas - Mijas Pueblo, the old town on the hill and Mijas Costa, the resort along the coastline a few kilometres from the original white washed town. There is a very popular market every Wednesday and Saturday which attracts visitors from all over the Costa del Sol region. Since the 1960's in Mijas there are donkeys in the main square of the village wearing traditional embroidered saddles. You can take a ride around the old town for € 10-20 (depending on number of people). Try Pampa Tapas for typical Spanish bites in the old town on Avenida Virgen de la Pena, or you could enjoy a typical English afternoon tea at the English Tea Room on Avenida Del Compas. Families and chocoholics shouldn't leave Mijas without a visit to the Mayan Monkey Chocolate factory. Enjoy a delicious ice cream or some smooth locally made chocolate. Address: Plaza Virgen de la Pena, Mijas Pueblo. At the eastern edge of the Costa del Sol is the popular resort town of Nerja. Quieter than some of the other larger Cost del Sol towns such as Fuengirola and Torremolinos. Nerja is one of the most popular family resorts in the region. The town has an "upmarket" feel but isn't over-priced. Nerja has large, sandy beaches within easy walking distance of the centre, a picturesque old town area with narrow streets lined with tourist shops and a large selection of reasonably-priced bars, restaurants and accommodation. Nerja is a popular destination for walkers and climbers, and there are spectacular views at the so-called "Balcony of Europe" beauty spot close to the town centre. The pretty hillside village of Frigiliana set in the hills behind Nerja is also a favoured location for visitors. The caves of Nerja were accidentally discovered in 1959 by a group of locals searching for bats. Stretching for almost 5km, the caves offer visitors a unique look into some of the finest caves in Europe. There are spectacular stalagmite and stalactite formations which are viewed from "galleries" within the cave network. Entry to the cave’s costs around 10 Euros for adults (half price for children and senior citizens), and the caves are open all year except for Jan 1st and May 15th. Take a jacket as the caves can be cooler as they are underground. In Nerja for a great meal head to El Avalon at Punta Lara 22, Nerja. (March to October) Children are welcome and they also offer options for vegetarian too. Located to the west of Marbella, Nueva Andalucia is especially popular with golfers, who flock to the area due to the many courses. Restaurants and bars can be found in the Centro Plaza along with a wide range of shops. There is also a popular street market that is open every Saturday near the bullring. San Pedro is set between the mountain ranges of the Sierra de Ronda and the bustling nightlife of Marbella which is only 10 minutes’ drive away. In addition, the town is only 20 minutes from Estepona. As a former agricultural community, today the town remains unspoiled and offers small authentic parish churches to view that are surrounding by narrow cobblestone streets lined in turn with plenty of bars, sidewalk cafes and shops. On Thursday the streets turn into markets and become the epitome of paradise for bargain shoppers. From the town centre you can easily walk down to the beach via the Avenida del Marques del Duero avenue which is lined with palm trees. The avenue turns into a wide promenade that offers plenty of restaurants with top rated seafood and plenty of beach clubs/bars. Make a point to also see the Roman baths that are open sporadically throughout the day and found within close proximity to the Guadlamina Beach Club. Formerly a small fishing village until tourism arrived in the 1950s, Torremolinos was one of the first resorts to be developed on the Costa del Sol. Torremolinos is now the largest resort in the Costa del Sol. The town has a large ex-pat community and like Fuengirola, is very popular with British tourists. The centre of Torremolinos was the first part of the town to be developed and remains the most authentically Spanish part of the town. The old town area is popular on hot summer days with its narrow streets providing shelter from the hot sun. In the warmer months Torremolinos has a very lively nightlife with plenty of bars and nightclubs attracting a lot of younger visitors. In the winter months the town is much quieter and frequented by older visitors. Torremolinos is an ideal holiday location for children with its sandy beach and plenty of attractions for kids including Aqualand and a Dinosaur Themed Exhibition/Education Centre (Dinsosaurios). For children Aqualand Torremolinos is the largest water park in the Costa del Sol - the perfect place to catch some sun while the kids amuse themselves - don't forget the sun lotion! Matahambre has a great selection of sharing dishes and tapas and is ideal for families and a light meal (they have several outlets in different locations around Malaga). El Gato lounge is a Smart beachfront venue with good food at competitive prices. Vintage 8 has a fun interior design and a great selection of small plates to share. Directly to the west of Nerja is the municipality of Torrox which is a popular holiday and expat destination of the Germans. Split into two towns, the beachfront area is known as Torrox Costa and the attractive white town of Torrox a couple of kilometres inland nestling in the Andalucian hillside. Torrox Costa beach is lined with restaurants and cafes serving all kinds of nationalities of food including Brazillian, Indian, Italian and Chinese menus as well as a few Spanish fish restaurants and tapas bars. Torrox Costa has more than its fair share of street sellers offering jewellery, perfumes and watches to the tourists as they sit at the restaurants along the beachside. In many cases the "designer" items which are offered at remarkably low prices are counterfeit products. Known to the locals simply as Velez, Velez Malaga is a market town a few kilometres inland from the beaches of Torre del Mar. Velez Malaga being inland isn't a typical Costa del sol resort, but tourists are attracted by the old town (Centro Historico) which has an attractive plaza where you can enjoy a Cafe Americano (black coffee), a Cafe con Leche (white coffee) or a Cerveza (beer). Near the end of September is the Royal San Miguel festival which is worth seeing if you can plan your holiday to coincide. A half hour drive in land from Velez Malaga is the picturesque Lake Vinuela. The man-made lake was created in the 1980’s as a reservoir for the region. The lake is situated in the tranquil Axarquia hills, surrounded by mountains. The lake is popular with swimmers wanting to escape from the bustle of the Costa del Sol coastal resorts. Malaga Airport is the gateway to the Costa del Sol. Low cost flights to Malaga are available from Ryanair, Easyjet and most of the low-cost airlines. Almeria Airport is around 2 hours’ drive to the east of Torrox and may be an option if you are visiting one of the eastern resorts such as Torrox or Velez Malaga.